The City of Absecon has decided not to renew an Inter-local Shared Service Agreement with the Township of Galloway and in turn appointed former Galloway Manager Thomas L. Henshaw as their new City Administrator. The agreement due to expire on December 31, 2013 was to share the service of Galloways' Township Manager Arch Liston. Liston was serving as Acting Administrator in Absecon with this agreement since June 2013. With the expiration of the agreement nearing, the City of Absecon notified Galloway Mayor Don Purdy on December 3, 2013 that the City would not be renewing the shared service agreement with Galloway. "I wish to express to you my thanks for the services over the last six months of your Township Administrator, Arch Liston" City of Absecon Mayor John Armstrong said in the letter. "All change is difficult; however, Mr. Liston's talent and experience served us well as Absecon completed its transition to a part-time Administrator" Armstrong further said. 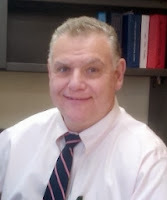 On December 5, 2013, City of Absecon Council appointed former Galloway Manager Thomas L. Henshaw as their new City Administrator effective January 1, 2014. The terms of Henshaw's employment were not readily available at the time of publication as the Mayor and Henshaw still needed to execute the employment agreement. Liston was not in attendance at Absecon's council meeting Thursday night. Henshaw served several years in Galloway Township as Township Manager before being replaced by former CFO, former Township Manager Jill Gougher. In a resolution adopted by Absecon City Council, Mayor John Armstrong appointed Henshaw with Council's consent. Henshaw will begin his employment on January 1, 2014 and will continue through June 30, 2014, at which time his appointment will expire unless he is re-appointed to that position. Absecon stated they required more hours from the Administrator than could be supplied under the shared service agreement with Galloway. Liston was providing Absecon with fourteen (14) hours a week. Absecon was paying for that portion of Liston's salary and fringe benefits for that time to the Township of Galloway. Liston was previously working four days for the Township of Galloway before increasing to five full days just prior to this agreement with Absecon. Congrats Tom. Absecon got a great Manager. I heard absecon didn't want Arch anymore. Quick change and good choice in Henshaw. What if Galloway does not want him anymore also?? Can we get somebody new too? Well, now Arch has more time to screw with the volunteers in the township!!!! Congratulations Tommy.